Summer is almost over, but it’s not gone yet. While many of the Reston pools have closed for the season, there is plenty of water fun to be had. Take advantage of the next few weekends to get on the water! Standup paddle boarding (SUP) is taking the water sports world by storm. Called Hoe he’e nalu in the Hawaiian language (which is just a fun fact to know), paddle boarding started as an offshoot of surfing… only much, much easier. The concept is simple—you stand on a surf style board and use a long paddle to move across the water. You can do it on flat water, like the Reston lakes, or in the open water. It’s a fun sport anyone can enjoy. And we are lucky in Reston to have a company that offers SUP workshops on our Reston lakes—Surf Reston. 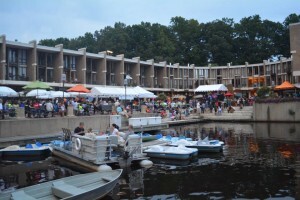 They offer workshops at Lake Anne, Lake Audubon, Lake Thoreau and Lake Newport. The company started as a way to build a community of individuals who enjoy paddling; they teach how to paddle responsibly and safely and give their customers the opportunities to connect with other enthusiasts. Sign up for one of their workshops today! Better yet, get a group of friends to do it together. It’s a blast. Enjoy these last few weeks of summer break. Maybe I’ll see you out on the lakes! - Wine and craft brew tasting and selling of open containers ends at 4 p.m. 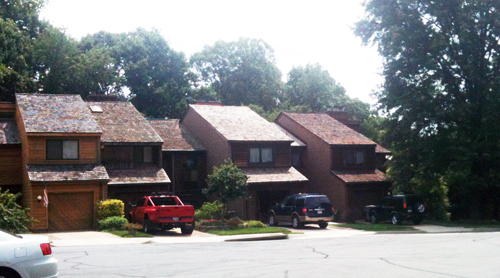 Most of the Reston condominiums built in the 1970’s look nondescript from the outside. There is no way around it—they are boxy and plain. But if you take the time to go inside, you will be pleasantly surprised. Vantage Hill is a wonderful example of this. Vantage Hill sits on 15 beautifully wooded acres that have been designated a Backyard Wildlife Habitat by the National Wildlife Federation. That’s 15 acres for 152 units or, more than 4,000 square feet per unit. And then there are the spacious interiors. These may be condominiums, but that doesn’t mean you have to give up space. The units are generally 2 or 3 bedrooms with generous floor plans, ample closets and spacious kitchens. One of the beautiful things about these older condominiums is that most of them have been updated—new kitchens, new bathrooms, and new flooring. It’s the best of both worlds—the solid construction and beautiful landscape of the 70’s with the beautiful interiors and modern designs of today. Utilities are included in the condo fees. Vantage Hill is located between Reston Town Center and Lake Anne Village Center, with an easy walk to either. 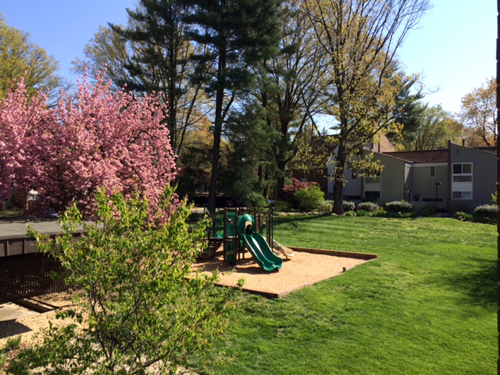 It’s about a five-minute walk to Lake Anne Elementary School. Older children attend Langston Hughes Middle School and South Lake High School. There is every type of dwelling available in Reston--from single family home to condos, from large to small... and everything in between. Despite the fact I live in a condo, I always associate Reston with townhomes. Perhaps that is because we have such diverse townhome communities--we have close to a 140 separate townhouse clusters. That's a lot. So is a Reston townhome right for you? Possibly yes. 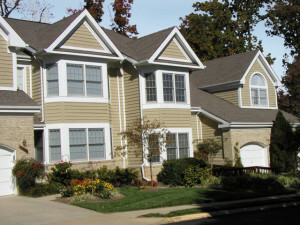 Reston townhomes offer a wide range of housing options for almost every price point. You'll often find neighborhoods that are a combination of young families, singles, or couples who have downsized. It's a wonderful, eclectic mix. And for busy professionals, you have the bonus of a lovely neighborhood that you don't have to care for--your cluster will maintain the common property! If you've never considered townhome living because you're worried about the size, the light or living in such close proximity, maybe you should reconsider, there is a lot of upside to this housing style. And no place does it as well as Reston.